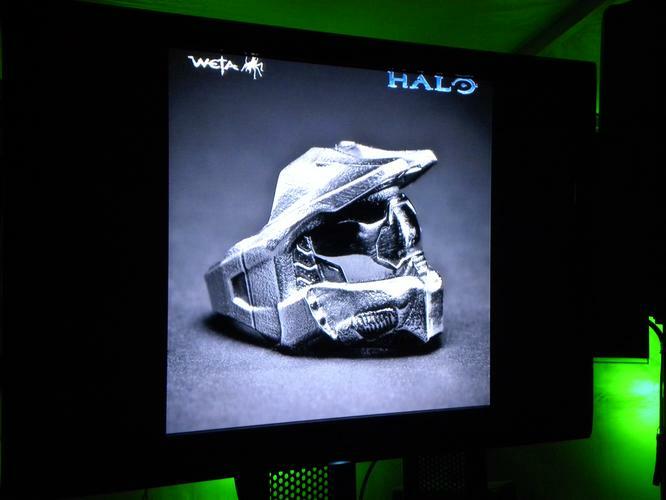 Pre-production work on Halo: the Movie had already begun at Weta Workshop before the project was canceled. Long ago, a filmmaker named Peter Jackson attempted to make a feature film based on the Halo video game franchise. Unfortunately, funding fell through, and Jackson instead went on to produce the upcoming film District 9, which was directed Neil Blomkamp (who was set to direct the Halo feature.) Now, after some considerable hope was lost in seeing Master Chief storm our local movie theatres, a shining beacon of hope may be found in none other than the God among men of filmmaking, Steven Spielberg. "IESB has learned exclusively (believe me this is solid and I've confirmed it three times over with studio executives and our close ties to CAA) that one of the biggest producers in Hollywood history is currently in active negotiations to develop the feature film adaptation and no it's not Jerry Bruckheimer or Peter Jackson. It's the man behind Jaws, E.T., Indiana Jones and Transformers, Mr. Steven Spielberg. Spielberg is blown away by writer Stuart Beattie's take on the game in his script entitled HALO THE FALL OF REACH. This coupled with the fact that his Dreamworks umbrella is looking for a big tent pole to help launch their newly independent studio with distribution over at Walt Disney Pictures after losing Transformers to Paramount in the separation, it's the perfect combination."